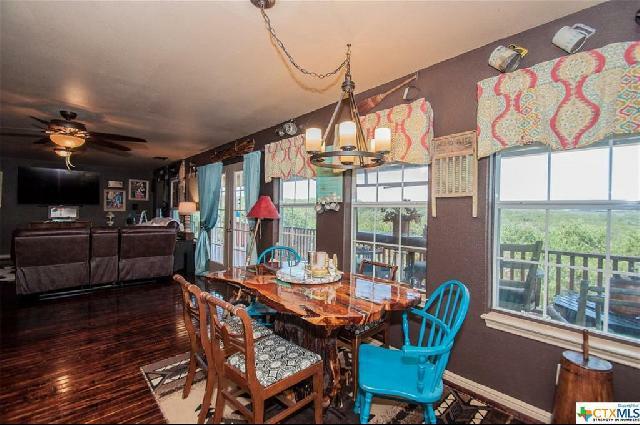 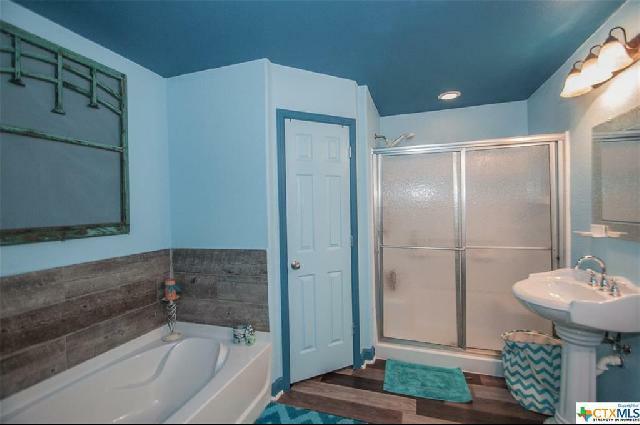 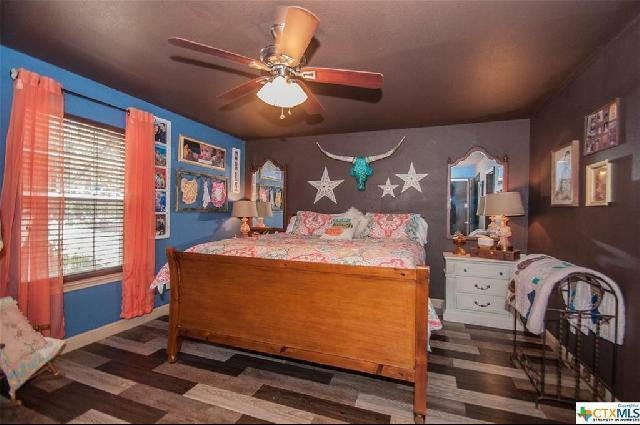 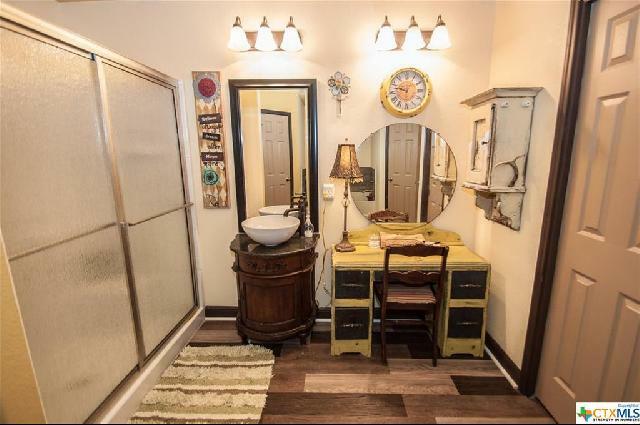 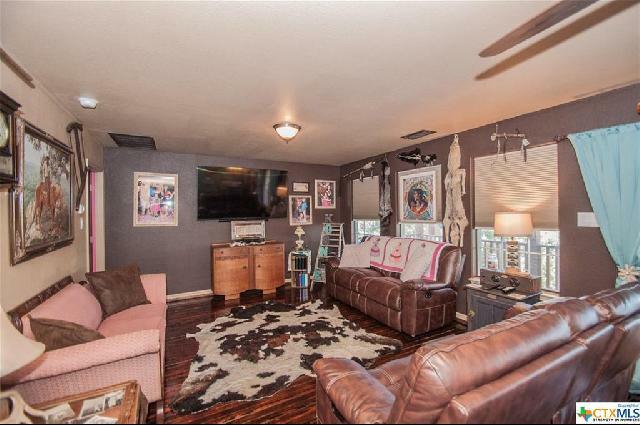 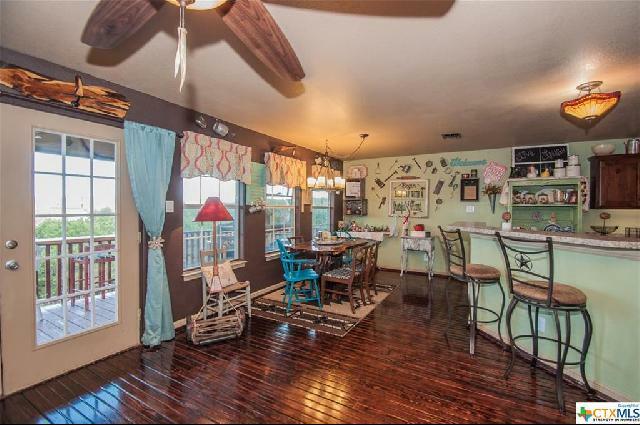 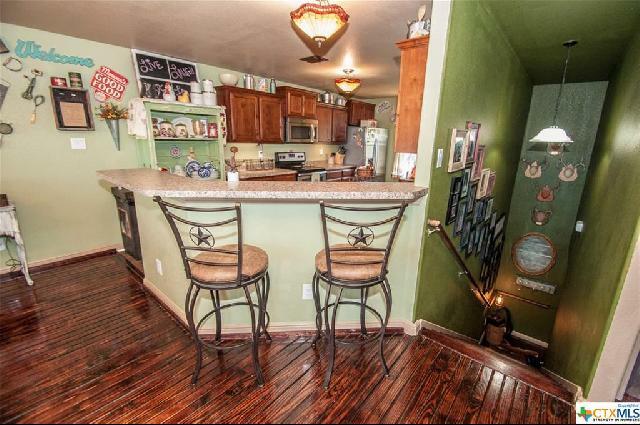 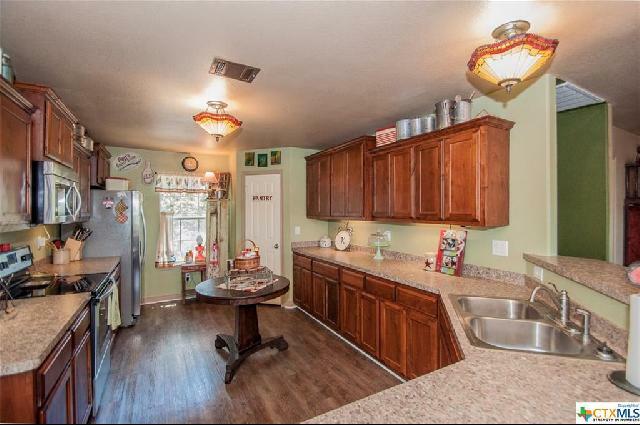 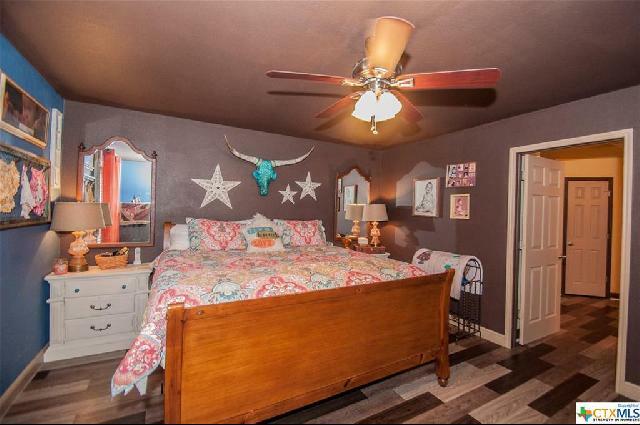 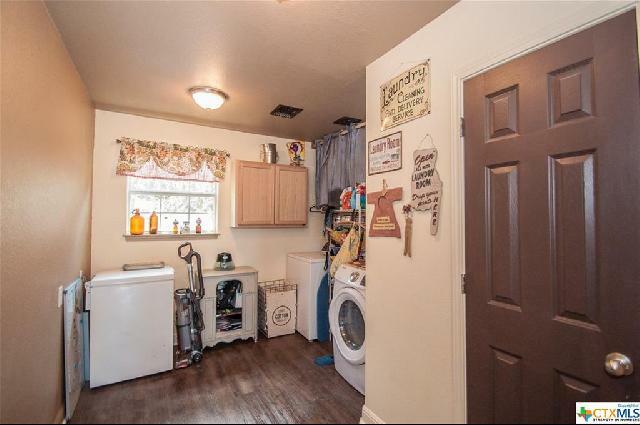 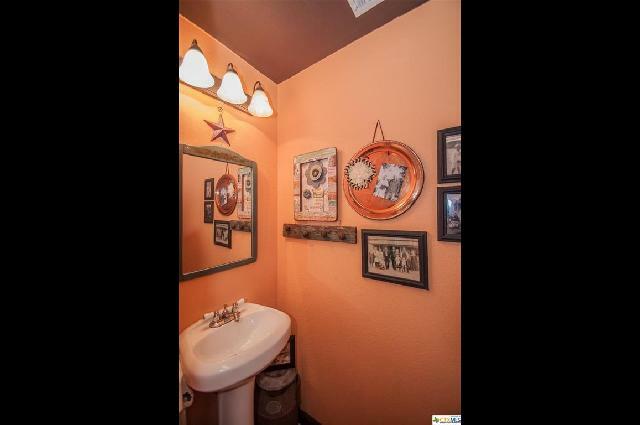 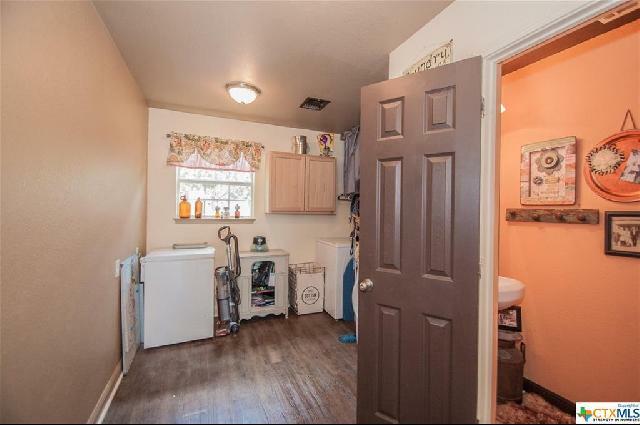 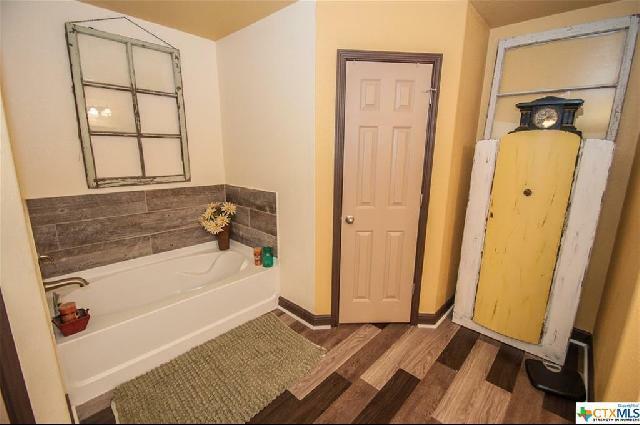 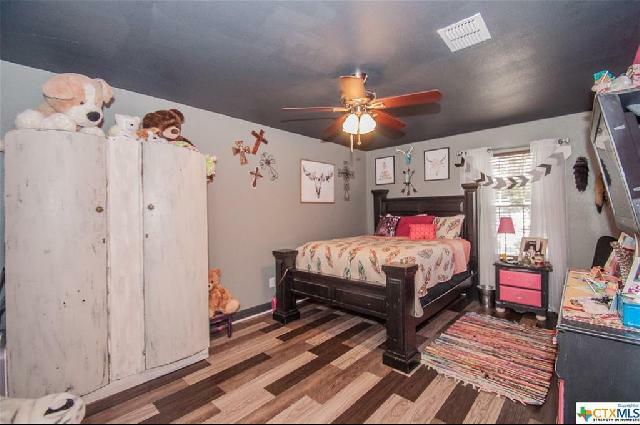 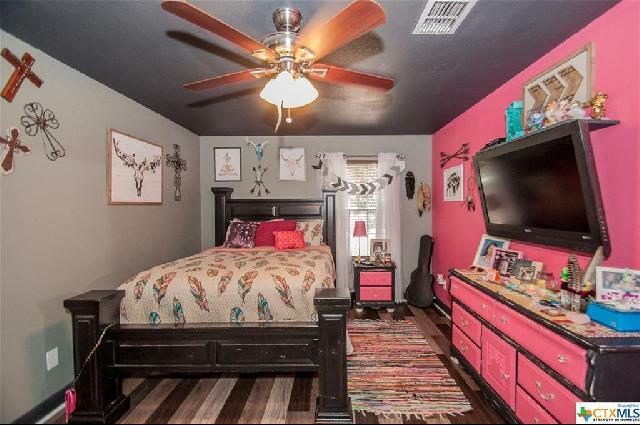 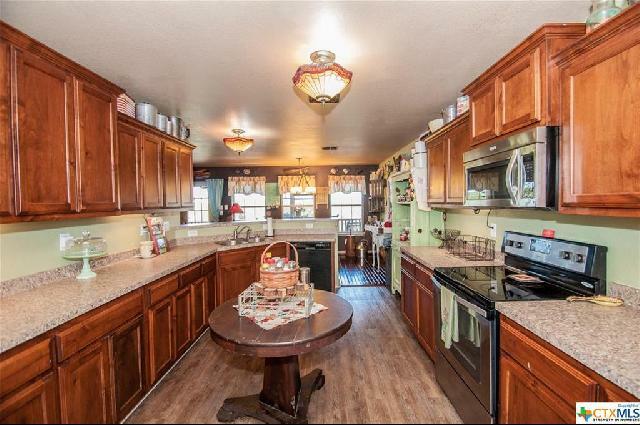 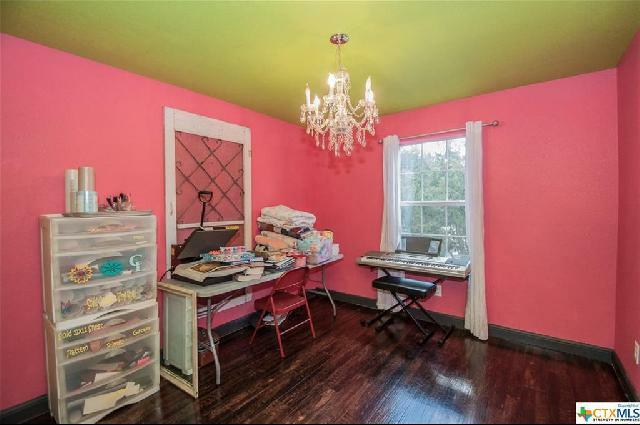 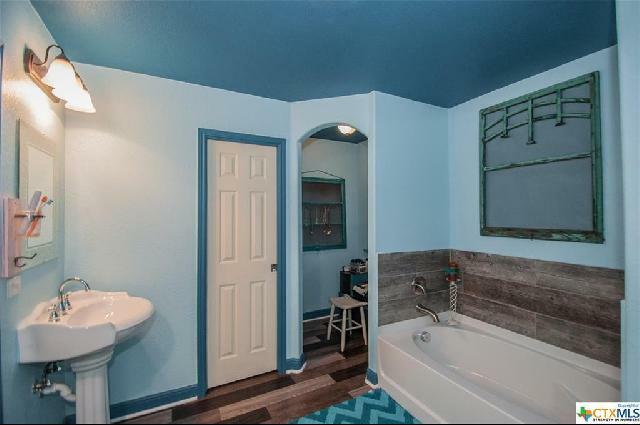 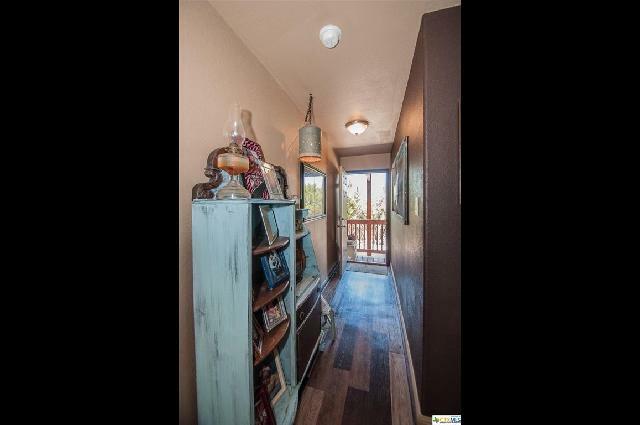 This 3/2.5 home has BIG personality and charm. 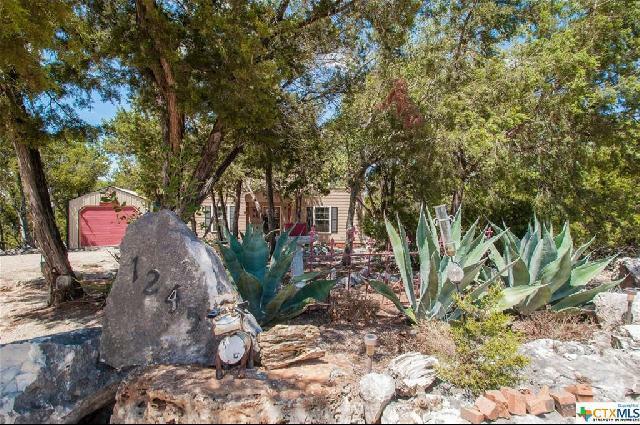 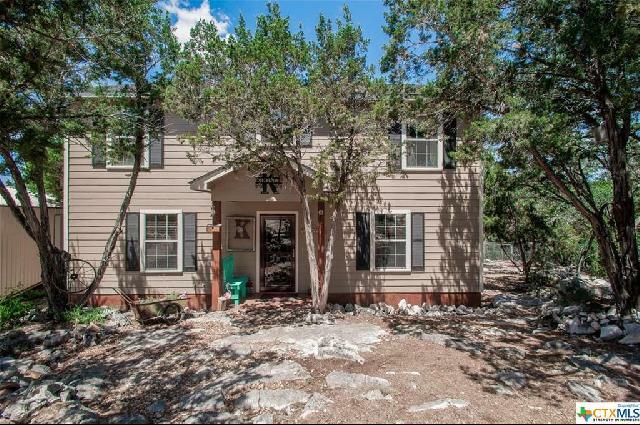 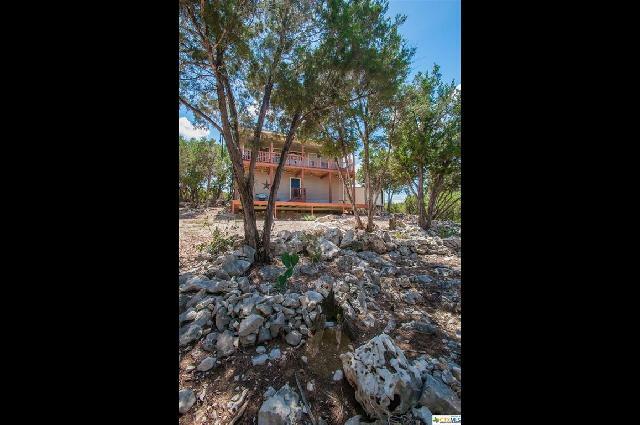 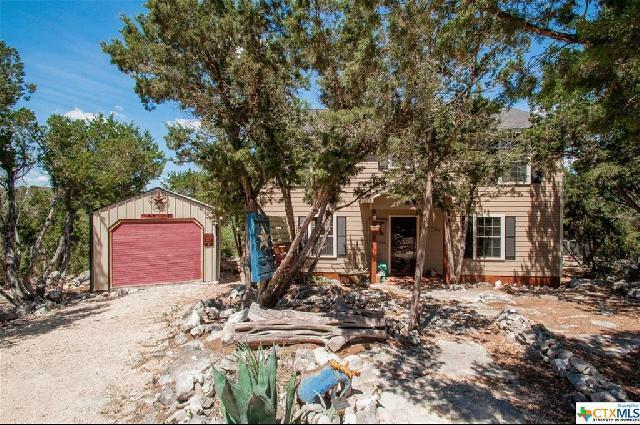 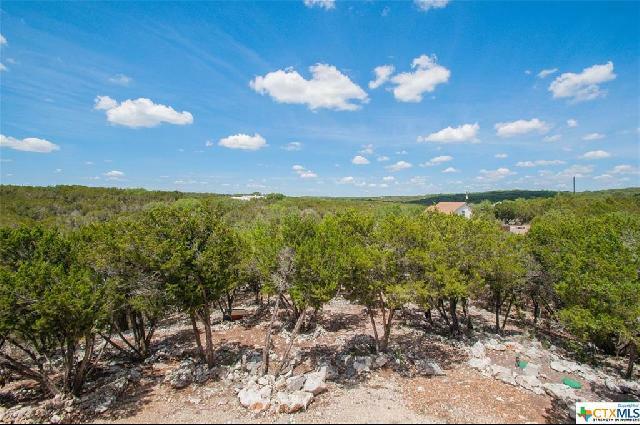 Tucked away amongst the trees on over 1.4 acres not only is there an awesome hill country view but tons of privacy will be yours when you call this home. 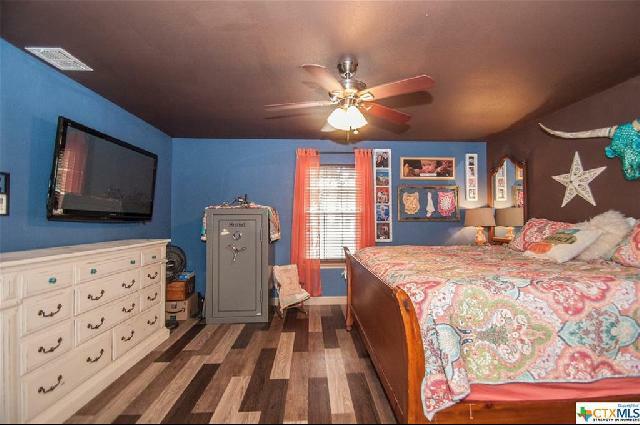 Nice sized dual masters downstairs both en suite. 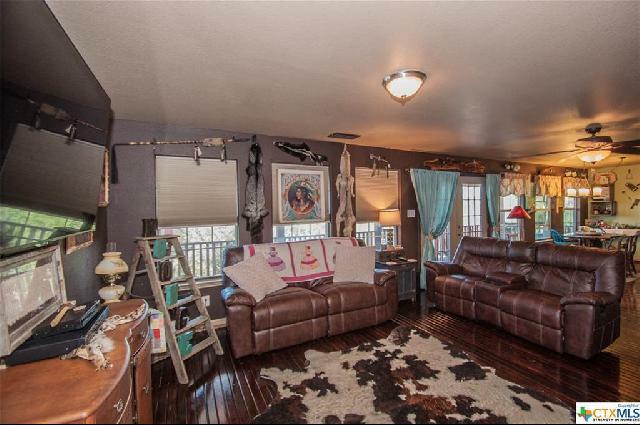 Main living upstairs plus bedroom and half bath. 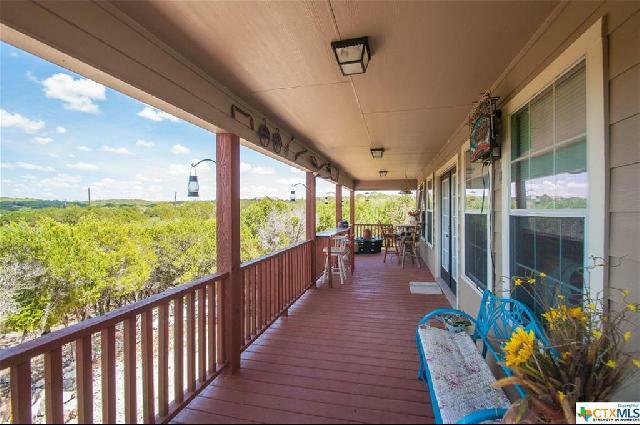 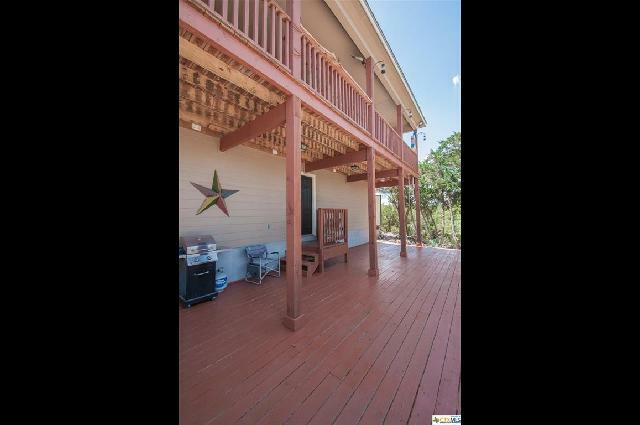 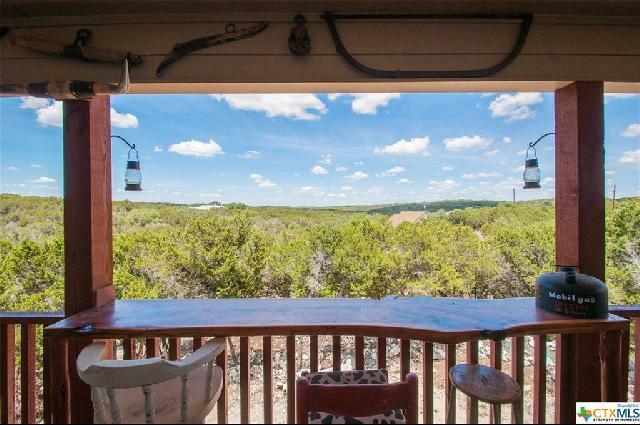 Upper and lower 35 foot decks look out to the tranquil hill country view. 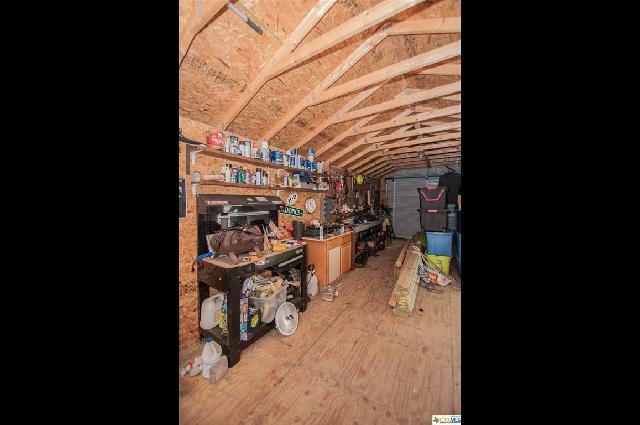 Super sized 11 x 30 storage shed/man-cave. 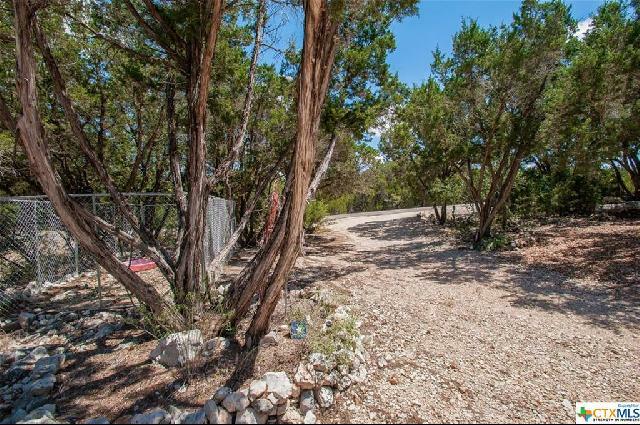 Property has been partially cleared to reveal dry creek bed in back. 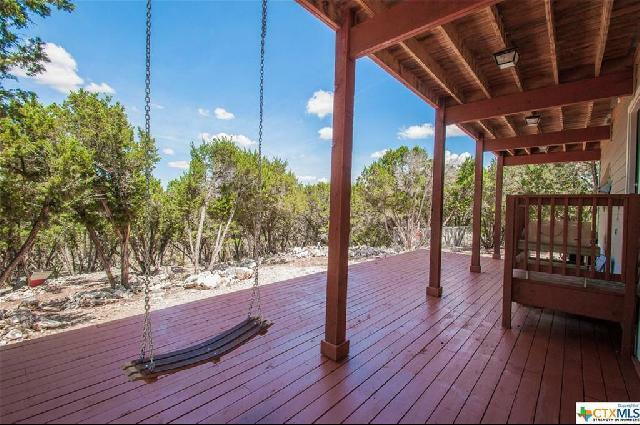 Fenced dog run.